AESSEAL, one of the world's leading manufacturers of mechanical seals and support systems, and the Institution of Mechanical Engineers (IMechE), have made a donation of £50,000 over two years to Queen’s to benefit female research students / postdoctoral researchers / academics, in the School of Mechanical and Aerospace Engineering at the University. 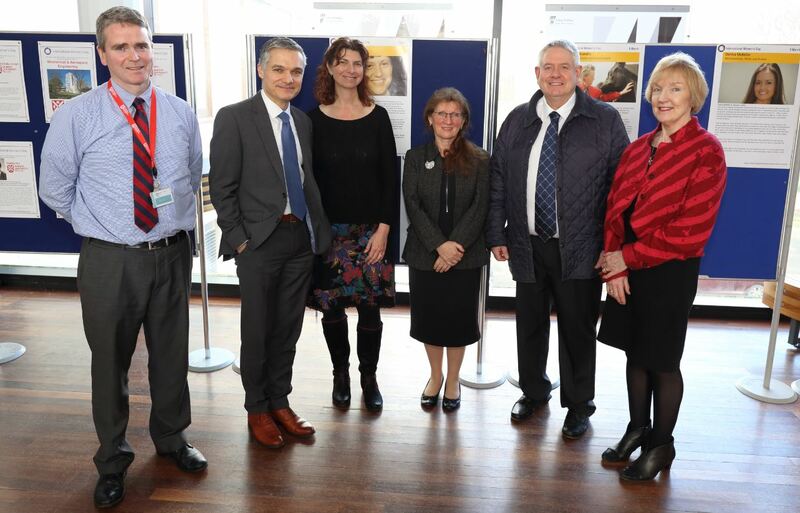 The announcement was made on 8 March – International Women’s Day – by Ms Carolyn Griffiths, President of IMechE, at a special reception held at Queen’s University. Speaking at the event, Professor Brian Falzon, Head of the School of Mechanical and Aerospace Engineering at Queen’s said: "The support of AESSEAL and the Institution of Mechanical Engineers is hugely appreciated as we strive as a School to encourage more women to study and work in STEM areas and, more specifically, in engineering, where there is an acute skills shortage. “At a time when less than 15% of engineering professionals are female, we hope to provide role models so that many more young women will aspire to become engineers. "This substantial gift will support a number of different initiatives here at Queen’s targeted at highly talented female engineering students and academic staff." The AESSEAL donation will be administered over a two-year period by IMechE and will fund a number of areas – leadership development, postgraduate scholarships, conference support and a mentor outreach programme. Carolyn Griffiths said the power of the AESSEAL donation was that it would immediately bring practical benefit to female engineers at Queen's and enable schemes that will continue to have influence beyond the two-year period. She said the Institution of Mechanical Engineers was extremely pleased to be involved and congratulated AESSEAL and Queen’s for their commitment to encouraging and supporting women studying and working in the field of engineering. If you would like more details on supporting women in engineering at Queen’s please contact Naomi King, Development Manager or telephone +44 (0)28 9097 3101. General enquiries to Gerry Power, Communications Officer, Development and Alumni Relations Office; tel: +44 (0)28 9097 5321. Photo caption: Pictured at the announcement event are (L-R): Dr Joe Butterfield, Senior Lecturer, School of Mechanical and Aerospace Engineering; Professor Brian Falzon, Head of the School of Mechanical and Aerospace Engineering; Dr Dani Soban, Lecturer, School of Mechanical and Aerospace Engineering; Ms Carolyn Griffiths, President, IMechE; Mr Stephen Shaw, Group Engineering Director, AESSEAL; Ms Norma Sinte, Director of Development and Alumni Relations, Queen’s University Belfast.